Set in a typical 3D fantasy world is Florensia a game that includes both land and sea elements within in its content. This breadth of exploration combines with a good range of class options to deliver a decent fantasy MMORPG. Your class options start with 4 core options which include the Explorer, Mercenary, Noble and Saint. At level 40 players can further customise this base choice with one of two options her class for a total of 12 options (8 end game options). The Explorer class is the ranged damage option in Florensia with a focus on powerful guns that include both rifles (Sniper) or dual pistols with explosives (Excavator). Mercenaries are melee orientated with the level 40 job advancement pushing you to either offensive focused (Gladiator) or defensive focused (Guardian Swordsman). Nobles add ranged magic uses into the fold which expand into elemental magic (Court Magician) or powerful 1v1 debuff orientated mages (Magic Knight). Finally Saints are the healing class of the world which split into healing focused (Priest) or offensive light magic (Shaman) at level 40. All of these class options are well laid out to players from the start of the game which lets you plan accordingly. Regardless of the class your early game will be focused around simple collection quests or search and destroy a particular enemy type. This is a pity as combat can be quite tedious and slow in comparison to other games and really doesn’t come into it’s own until you’ve unlocked a decent number of skills that let you quickly clear enemies. This is where Florensia starts to shine with its large collection of skills that feel useful as players can invest points across the board without being restricted to a particular build. Equipment also allows some depth or isn’t as deep as one might expect. None of the above features are why you’ll want to play Florensia though, its main selling point is the sea exploration and combat. This starts off pretty early in the game thankfully with players given ship parts to create their first ship. This is then paired with cannonballs on the open see where you’ll shoot at enemies. Florensia wraps everything it has to offer with nice graphics, community and UI. 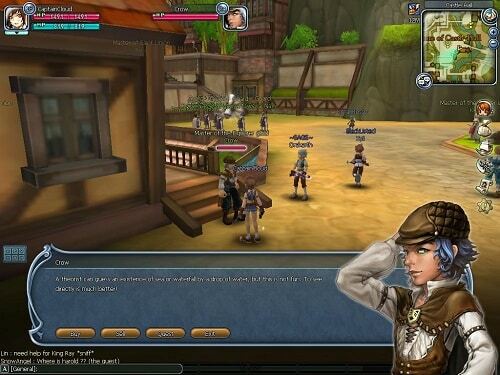 Start exploring the vast seas, forests and dungeons in this addicting MMO. Explore the seas and engage in naval combat. 12 different classes that tick all the normal archetypes. Strong graphics that expand to sea, dungeons and forests. Simple combat bolstered by a good skill selection. Find new equip to alter your look and statistics.